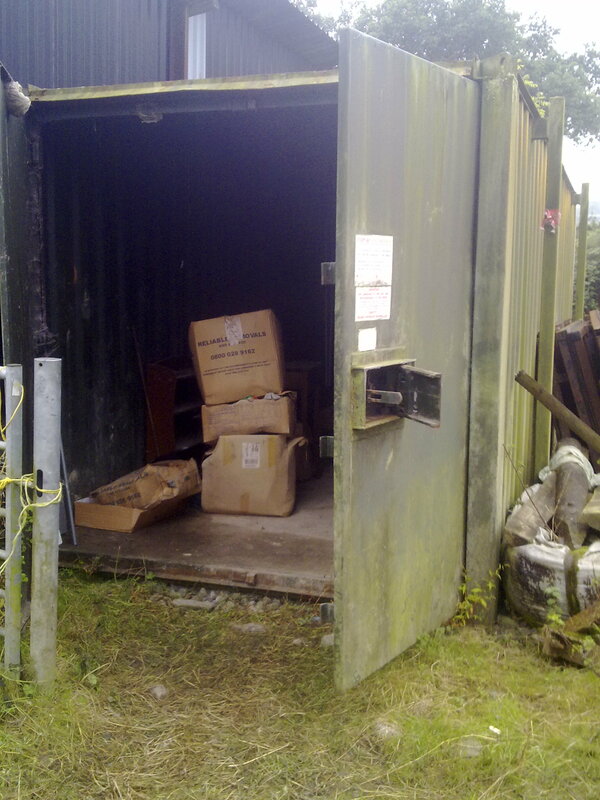 I’m just going through the unpleasant process of working through a shipping container standing on the farmyard that has held our precious stuff for the last seven years. When we moved here there wasn’t a proper house and we’ve been converting a barn to live in ever since. So now there’s a container full of memories in this container on the yard, toys and clothes our growing kids once loved, old birthday cards to married and grown up kids from people who were close to them when they were two years old … and furniture that was cherished in my parents, grandparents’ and great grandparents’ homes. This stuff has got people, situations and big memories inscribed on it … people dearly loved and now long gone. According to a recent Tom de Castella & Kate Dailey BBC Magazine article, the mania for storage centres began in the US in the 1960s and the country now has over 50,000 such facilities. Apparently they arrived in London in the 1990s but didn’t take off across the UK until 2000 and certainly I didn’t become aware of them until we were preparing to move house in 2004, when we decided against a storage facility and opted for a shipping container on the farm yard … which had no temperature or environmental control, and the consequences of that are what I’m now having to sort out. The self storage industry is a growing business … so important that the Office for National Statistics (ONS) now includes a measure of self storage prices in both its Retail Price Index (RPI) and Consumer Prices Index (CPI). Apparently this is a particularly American and British phenomenon … it’s the fastest growing real-estate sector in the U.S. and Britain has 800 major self-storage units, the same as the rest of Europe put together. It’s the ideal stopgap while you get organised and there are knockdown three-month offers to entice you in. But out of sight is out of mind. 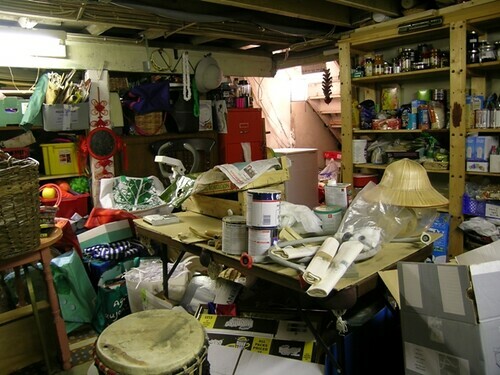 Recent statistics show that people are leaving their junk in storage units for longer and longer. Data from the UK Self Storage Association suggests that the average length of stay has risen from 22 weeks in 2007 to 38 weeks in 2010. And newspapers have found horror stories where people have forked out thousands of pounds to keep their possessions in storage for years on end, despite never visiting the warehouse to take them out. Not just a testament to an acquisitive society. an inability to part with treasured possessions. But this is only part of the story, says Brian Knutson, an associate professor of psychology at Stanford University. The “endowment effect” is just as important. 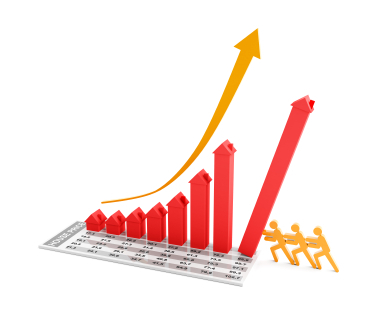 we endow a possession with more value than its market price. for a year rather than using that money to buy a new one. pay to get it,” says Knutson. not just the mortgage and the car, but smaller items. “We’ve confused who we are with what we have,” he says. Now, Jesus had a really clear line on the things that make us worth something. He had no time for all this impact consumerism’s had on the way we view ourselves, and he even had a story about ‘self-storage’ to make His point! The ground of a certain rich man produced a good crop. 18Then he said, ‘This is what I’ll do. I will tear down my barns and build bigger ones, and there I will store all my grain and my goods. When it comes to a closet full of clutter, “people don’t want to make the decisions,” so put it off for another day, says Cory Cooke, a professional organiser based in London. … and give some more thought to how I can be rich towards God?